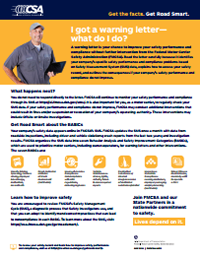 Here's where you can learn how to improve your company's safety performance and find resources to help your drivers Get Road Smart so America's roads get safer. 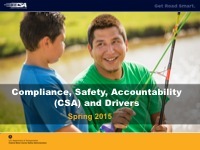 This is your one-stop resource for safety compliance materials on FMCSA's CSA program. 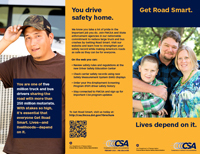 Choose from posters, factsheets, brochures, business cards, and PowerPoint presentations that you can download, print, and share to help everyone at your company Get Road Smart. 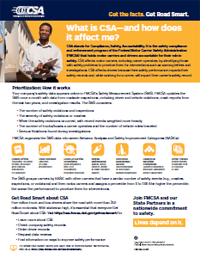 It's one way you can join FMCSA in making a nationwide commitment to safety. 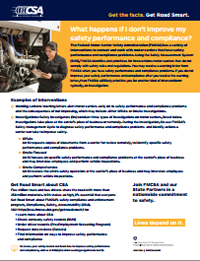 Motor carriers, you know the vital importance of safety compliance for your drivers, your business, and your reputation. 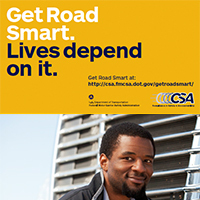 Review your safety data, and take action to make the roads safer for everyone. Log into the Safety Measurement System (SMS), which uses data collected from roadside inspections, crash reports, and investigations. 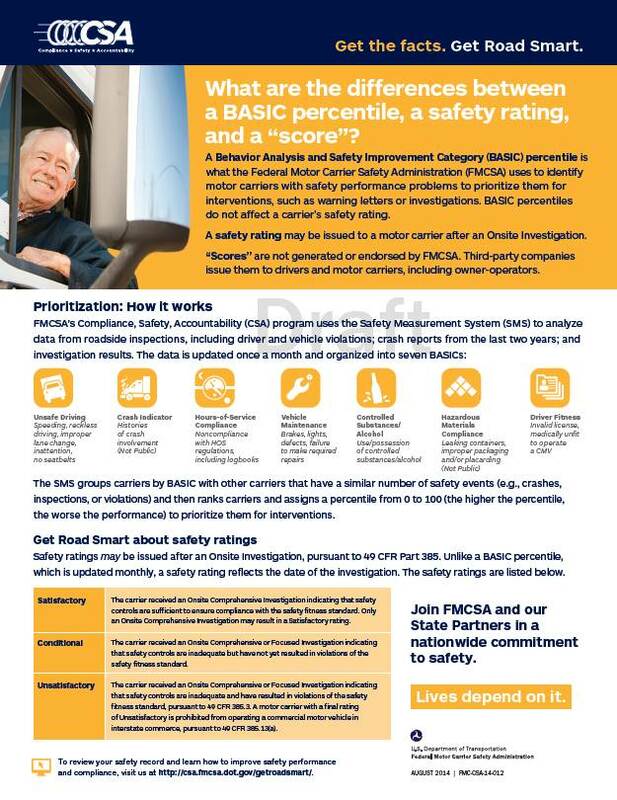 Motor carriers, log in to the SMS to view additional safety data. Here are answers to some of the most commonly asked questions about CSA. Select the link below to browse all of the CSA FAQs. How often are the Safety Measurement System (SMS) results updated and what timeframe does each update include? 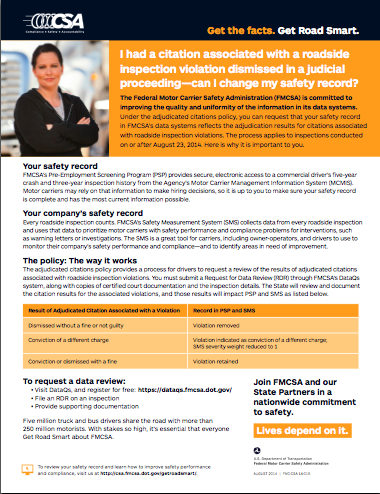 How can motor carriers, drivers, and other stakeholders request a review or correction of data in the Safety Measurement System? How are the Safety Measurement System (SMS) percentile ranks calculated?